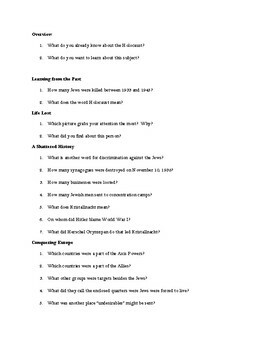 These questions are meant to be paired with Scholastic's The Holocaust Reader. 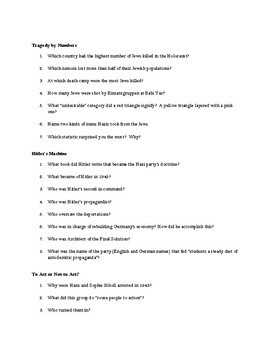 These questions can be done independently or together as a group. 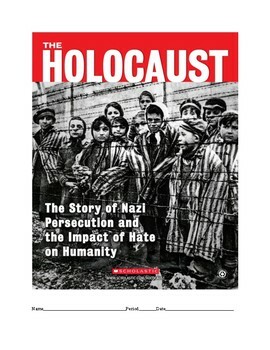 The link for The Holocaust Reader is below. It's the most comprehensive and age appropriate background to this subject matter that I've found. 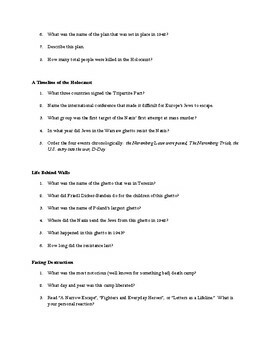 I use this before I teach The Diary of Anne Frank.